We've acquired an expertise in the field and we're solid communicators. If we feel unclear or uncertain about something we'll let you know. 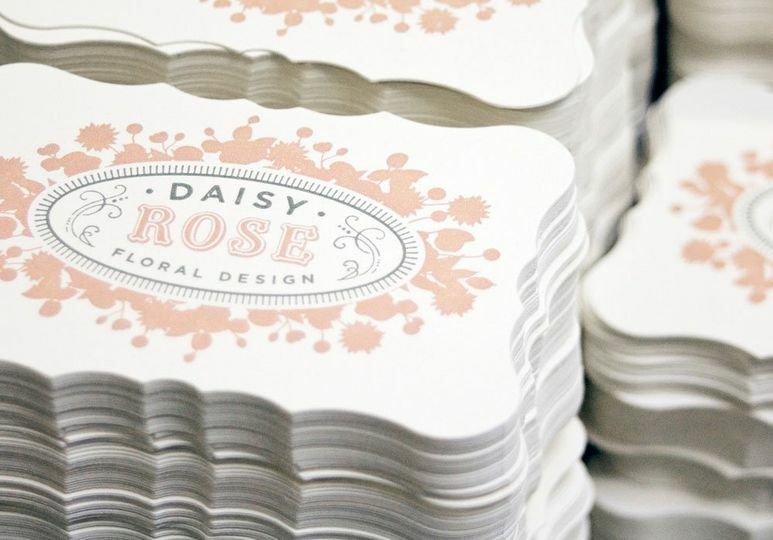 Visit our portfolio at www.daisyroseflowers.com to see our favorites, but we've done all styles & all color combos. If you want us to create something we've never done before, we'll be sure we can do it before we accept the challenge. 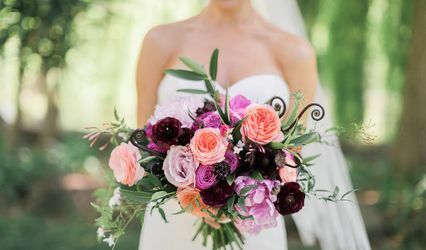 I loved working with Daisy Rose Floral Design for my wedding flowers. Daisy Rose and Jim are the perfect team. They were easy to work with and always responsive. I had a lot of my own ideas, but when I needed creative help, they were so helpful. Daisy took the time to sit with me and go through every floral detail of the day to be sure we were on the same page. You really have to trust your florist, as it's hard to know what the final day will look like until the day comes. Daisy understood my style and color direction and I was so very pleased with the final presentation. Daisy Rose and her husband are a great team! Daisy was recommended to me by another florist and I am so happy they recommended her. 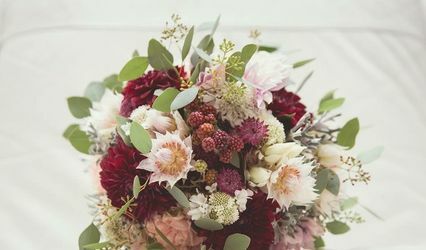 I was looking for a very natural, seasonal look for our bouquets and flowers and that is exactly what I got. Daisy took a lot of time to understand the look and feel I was going for. She suggested small touches to make our wedding flowers more personal – such as adding kangaroo paw to our bouquets because my husband is from Australia. 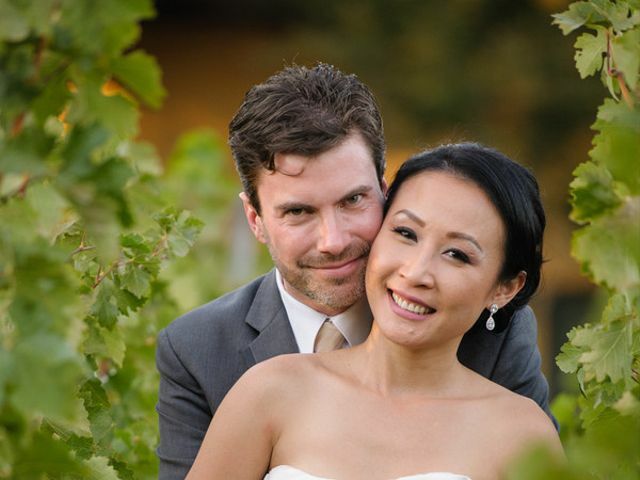 Throughout the planning, Daisy and Jim were easy to reach and always responded promptly to my emails and questions. We made some changes up to two weeks before the wedding and Daisy made everything happen. We flew in just a couple of days before the wedding and Daisy was very flexible in allowing me to get her the lace wrap for my bouquet just two days before the wedding. It probably put a lot of stress and time pressure on her to get it so late, but you would never know it – she was very accommodating and gracious. Her husband, Jim, delivered the flowers. He was so flexible and willing to do anything we needed. He met us at the hotel where we got ready then drove the flowers a couple of blocks away to a park where we would be taking pictures so that we didn’t have to carry them all that way. 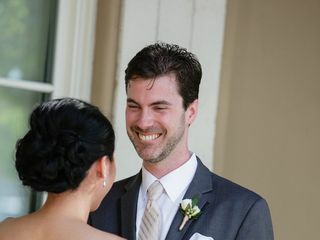 He also helped to pin a pendant on to my bouquet last minute (a gift from my MOH in honor of my late father). Whatever we asked or needed, he was more than willing to help. Our centerpieces were a bit unique. We had a rustic, farm-to-table theme and I asked Daisy for natural bittersweet branches just to lay down the length of the table interspersed with votive candles. The result was perfect. She understood exactly what I was going for. I didnt really give Daisy a ton of direction at our first conversation, and for our second, we went through photos and I said "too big, too small, yes on this and no on this" but when the flowers arrived at the suite, I was blown away. The bouquets and all of the groomsmen bouts were STUNNING. Then, when I saw the centerpieces, they were more than I dreamed off. My absolute most favorite HAD to be the chuppah. I was so happy when I saw it that the tears started coming. When I tell you Daisy works magic, believe me!